Lawyer, MLA (1921-1922), MLA (1923-1927), MLA (1927-1932), MLA (1933-1936), judge. Born at Meadow Lea on 29 April 1878, son of William Taylor and Marietta Jane Plummer, he was educated at the North Central School in Winnipeg. He was a law student with N. F. Hagel KC at Winnipeg and W. J. Cooper KC at Portage la Prairie. He was called to the Manitoba Bar in 1900, after which he practiced with Cooper from 1900 to 1902, then practiced alone until 1910, when he entered partnership with J. R. Colwill. He was a solicitor to the Merchants Bank (Portage la Prairie), Great West Life Assurance Company (Winnipeg), the British Columbia Permanent Loan Company (Vancouver), and the Empire Loan Company. He was made a King’s Counsel in 1913. 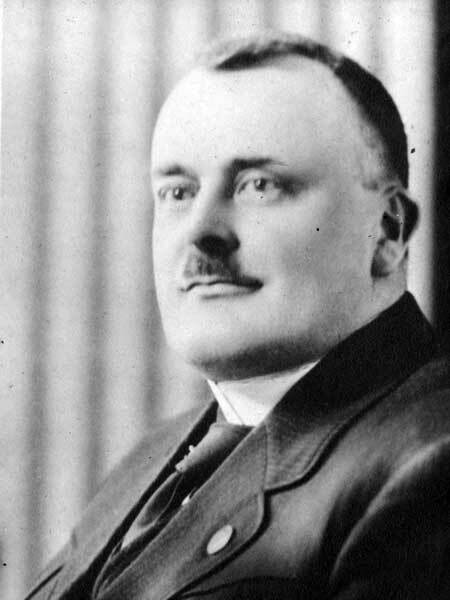 He served as an alderman of the City of Portage la Prairie in 1905, 1908 and 1909, and Mayor in 1910. He served with the Canadian Expeditionary Force in the First World War, in France with the 1st C.M.R., being awarded the Distinguished Service Order. Defeated in the 1915 provincial general election, he was first elected in 1920, re-elected in 1922, chosen Leader of the Opposition in April 1922. Re-elected in 1927, he declined to join a coalition government in 1932. In 1933 he was appointed to the Court of King’s Bench and was replaced in the Manitoba Legislature by William Raymond Sexsmith. On 13 December 1901, he married Mabel Agnes Dykeman (?-?) at Portage la Prairie. They had no children. He died at his Winnipeg home, 112 West Gate, on 2 January 1940 and was buried at Portage la Prairie. His honorary pallbearers included W. J. Tupper, John Bracken, J. P. Prendergast, E. A. McPherson, H. D. B. Ketchen, Brigadier B. W. Browne, Edward Anderson, D. H. Laird, B. V. Richardson, and W. J. Le Cappellain. Active pallbearers were J. T. Haig, W. W. Kennedy, James McLenaghen, Cecil H. Gunn, A. G. Halstead, and C. H. Weagent. “Mr. Justice Taylor is dead,” Winnipeg Free Press, 2 January 1940, page 1. “Mr. Justice Taylor will be buried at Portage Friday,” Winnipeg Free Press, 3 January 1940, page 3.